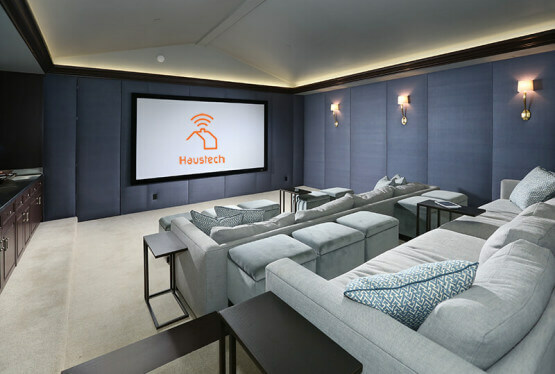 By working very closely with the designer, Haustech was able to help convert a three-car garage into a bonafide hollywood studio, crowd ready, dedicated theater room. 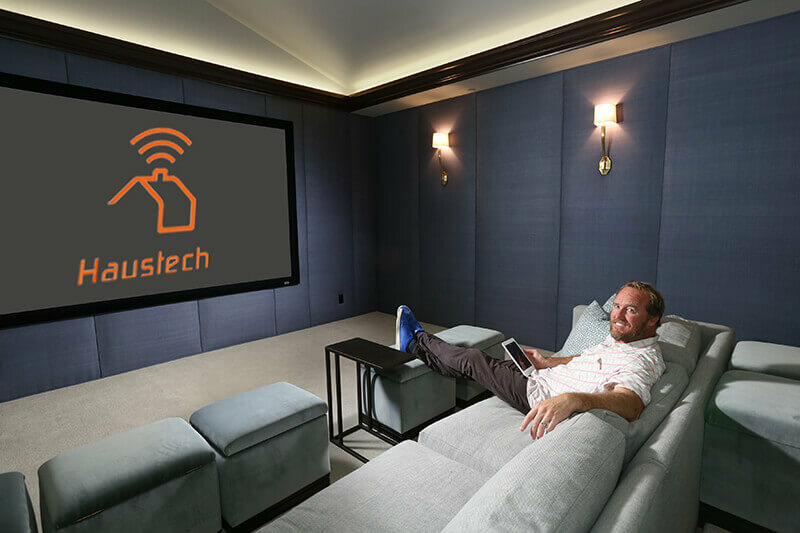 Between a product offering of Marantz separates, Revel and JBL loudspeakers, Sony projection and Severtson screens, the room is a testament to what can be achieved when disparate teams work together. 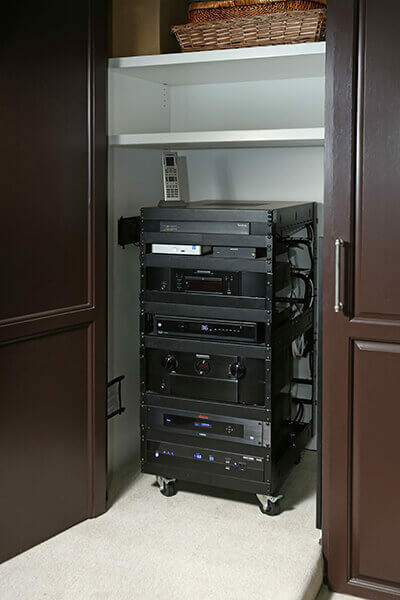 All the equipment is controlled by Savant Control system and Lutron Homeworks lighting.